(Newser) – An Iraqi court today found the nation's Sunni vice president guilty of running death squads against security forces and Shiites, and sentenced him to death in absentia. 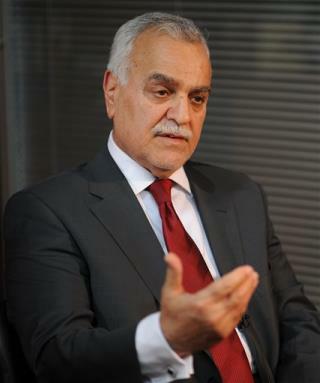 Tariq al-Hashemi, who has denied the charges, was not in court to hear the verdict. He fled the country after the terror charges were leveled against him in December, and is currently in Turkey. The Baghdad courtroom was silent as the judge announced the verdict convicting al-Hashemi and his son-in-law of the killings of a lawyer and a security official. The country is so much better off now. Before they had things like womens rights and people could walk down the street without fear of being murdered. We took care of that. Your welcome Iraq! sunni and shittis will go on killing eachother for ever. they do not need or want our "help" to do this!GET OUT NOW!